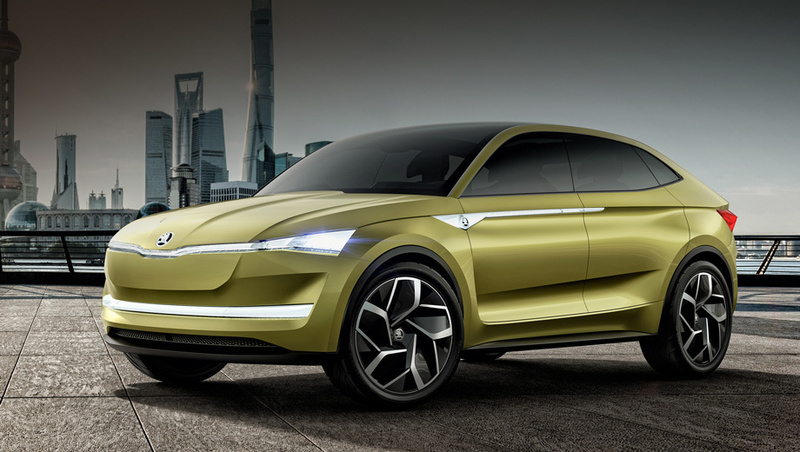 Skoda unveils the 2020 Skoda Vision RS at the Mondial de l’Auto, a new concept car prefiguring the replacement of the Rapid Spaceback and the style of the future sports models of the brand. 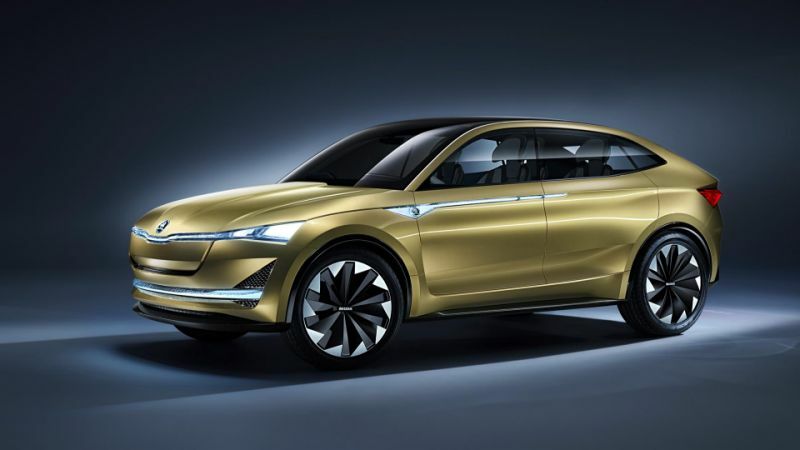 In recent years, Skoda has made the habit of announcing its next models through concept cars whose name begins with “Vision”. 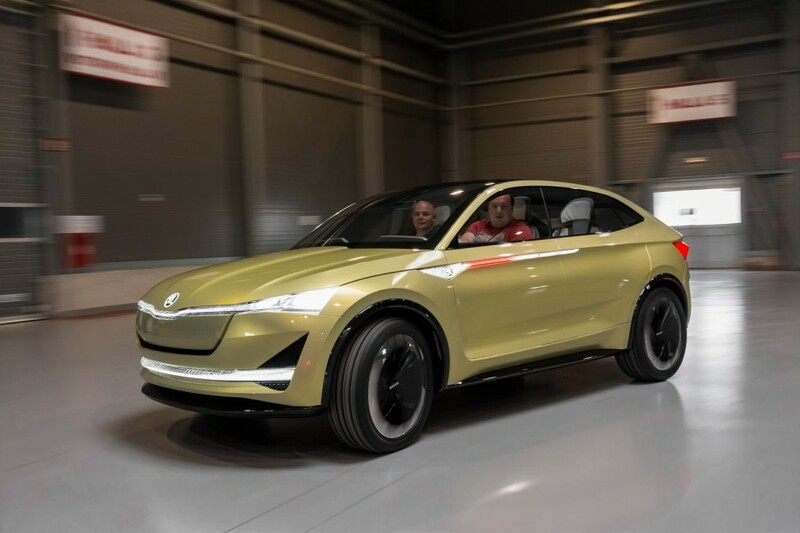 This is how Vision C gave birth to the new Superb in 2014, Vision S to Kodiaq in 2016, while Vision X foreshadows a small SUV that will arrive by 2020. At the 2018 Paris Motor Show, open to the public from 4 to 14 October in Paris, Skoda will unveil the 2020 Skoda Vision RS, a new prototype that announces this time the compact future sedan of the brand. It will be launched early next year and will take over from the Rapid Spaceback. Based on the same technical base as its cousins Volkswagen Golf (4.26 m) and Seat Leon (4.27 m), this compact sedan (the final name is not yet known) will be disassembled by a larger template (4 , 35 m), which will bring it closer to the Renault Mégane (4.36 m) and Ford Focus (4.38 m). In return, Skoda promises a spacious interior and announces a record load volume in the category (430 l). Skoda announces that its future compact sedan will be 90% true to the Vision RS concept. However, there is something to be disappointed seeing the first spy photos. The dynamic lines of the prototype give way to a much wiser style. The explanation lies in the fact that the Vision RS also foreshadows the style of the future models of the brand. It is therefore presented in a very dynamic version. 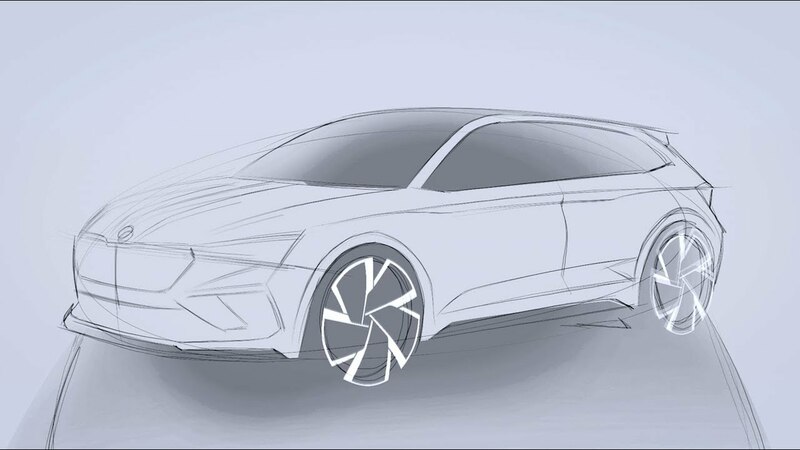 Sharp shields, low-profile tires (225/35) mounted on 20-inch wheels, imposing rear spoiler, radiator grille, rocker panel, and carbon fiber spoiler are some of the elements that could be fitted to Skoda’s future “RS” models. On the other hand, flush door handles and frameless doors will remain the preserve of this prototype. 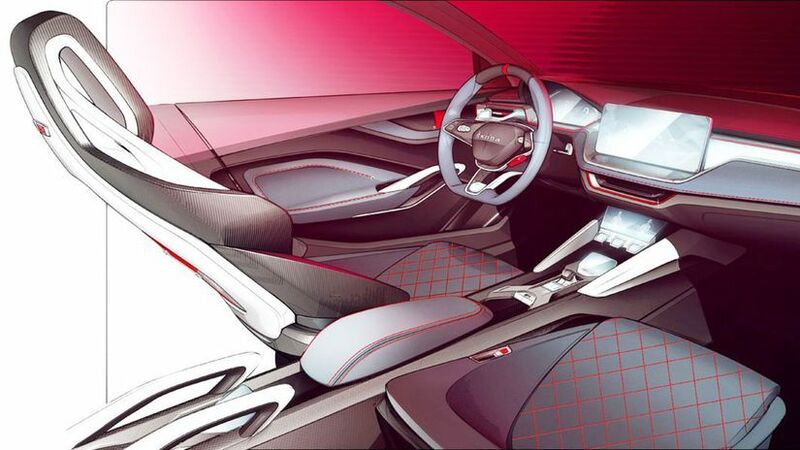 The interior of the RS Vision concept is also characterized by its sports presentation: four independent seats, red seat belts, sports steering wheel with the flat button with “Sport” and a red mark on the rim as in competition, Alcantara upholstery with stitching. But the interior also has elements that will be found on the final model. This is particularly the case of the drawing of the dashboard that extends to the doors or the multimedia system screen, as placed on the center console. By 2025, the Skoda range will consist of ten electrified vehicles. Among these, the RS models will have a rechargeable hybrid engine that the brand unveils through its Vision RS concept. Consisting of a 1.5 TSI 150 hp petrol engine and a 75 kW (102 hp) front-mounted electric motor, this powertrain delivers 245 horsepower, enabling the Vision RS to take down the 0 to 100 km / h in 7.1 s and reach a top speed of 210 km / h.
Powered by a lithium-ion battery with a capacity of 13 kWh (rechargeable in 2.5 h on a charging station), the electric motor can operate alone over a distance of 70 km. 2018 Skoda karoq Review; Most Affordable SUV?